In our new ‘Industry Changemakers’ blog series we pick the hottest topics and the experts that can tell us all about them. One of the hottest topics at the moment is definitely blockchain technology. For those of you who still don’t know, blockchain is an incorruptible digital ledger of economic transactions that can be programmed to record not just financial transactions but virtually everything of value. 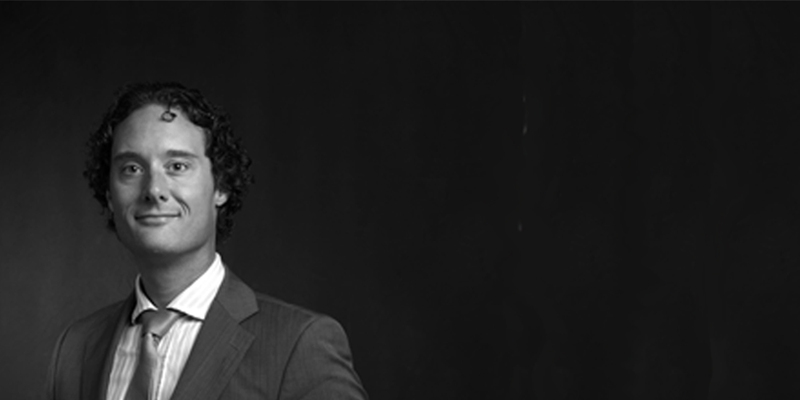 We talked to Michiel Van Eersel, a lawyer specialized in financial law and regulatory compliance, who told us about the concepts and legal aspects of blockchain. Find out where he sees cryptocurrency regulations heading in the future, what are the possible issues in doing business with smart contracts and what are the risks of investing in ICOs. 1. Hi Michiel, thank you for agreeing to do the interview. Could you tell us a bit about your background and your thoughts on blockchain in general? Of course, I am happy to do so. I am a lawyer, specialized in financial law and regulatory compliance. Over the last few years, I have been particularly active in the areas of alternative finance (including crowdfunding and angel funding), FinTech and cryptocurrencies. The concepts of blockchain and smart contracts got my attention while working together with business consultants and IT risk experts. I believe that blockchain will dramatically change the face of the financial sector, the business models of its participants and in the long-term the entire (global and local) economy. As transactions will be more efficient, transparent and safe, without the necessary intervention of old-school institutions such as banks, there will be more financing, driving the economy. 2. Blockchain empowers individuals but requires self-regulation. Do you think our society is mature enough for this responsibility? Where do you see cryptocurrency regulations heading in the future? Indeed, self-regulation will be required. I think that in general, the society is not mature enough for this responsibility now. I do expect especially permissioned blockchain systems to be successful in the long-term, being networks that allow participation only for those who meet the criteria related to integrity, transparency and creditworthiness. Such networks will also be able to enforce the rules of self-regulation, more than permissionless systems. Cryptocurrency regulations will move in the same direction I believe, with particular attention to the prevention of money-laundering (AML), cybersecurity and the protection of investors in case of issuance of digital assets or asset-backed cryptocurrency tokens. 3. There is no need for a lawyer to execute a smart contract. What possible issues do you see in doing business with smart contracts? Do you see them as the first step to the decentralization of the public judicial system? Possible issues will include the lack of remedies in case of unforeseen events or unforeseen execution of smart contracts. Furthermore, we will need to see how to deal with situations in which there should be a remedy such as legal cancellation of the contract. For instance in case of (unilateral or mutual) misunderstanding on the terms. Cancellation, in legal terms, has a retroactive effect; it is now hard to see how to implement such effect on the blockchain as the transactions on the decentralized ledger cannot be altered. To a certain extent, the same holds for winding up or dissolution of contracts because of non-performance. It is still difficult to see how enforcement in the virtual world will be related to recovery and execution measures to the extent necessary in the real world. I am curious whether we will see adequate virtual institutions for dispute resolution in the blockchain area as well. Perhaps I am trained too much as a lawyer in the real world, but I do not see smart contracts as a first step to the decentralization of the public judicial system. We simply cannot leave the law and its inherent principles of distributive justice and equity to a crowd of more or less accidental participants of a blockchain system. This could be different for permissioned systems, forming private judicial systems that will cover part of the current public judicial system on the basis of a contract. However, I believe that there should always be an escape towards the (centralized) public system with its protection by public courts, regulators and ultimately public prosecutors. 4. What is your experience with legal contracts for startups in blockchain? What legal challenges are you facing as blockchain grows stronger? In my experience startups could avoid future conflicts better by thinking more about their legal contracts in view of their content (what exactly are the mutual rights and obligations) and the possibilities for enforcement. The assistance of lawyers can be of great value in this respect, even though they are trained outside the blockchain world. It is fascinating how startup entrepreneurs, their tech experts and programmers on one hand and lawyers, on the other hand, can come to innovative and effective legal contracts. As I indicated before, particular legal challenges will be in the area of remedies for non-performance, recovery as well as dispute resolution. 5. China recently banned ICOs because according to China’s Central Bank they have “seriously disrupted the financial and economic order”. What do you think about that? What are the risks of investing in ICOs? I have seen many arguments for the Chinese governments to ban all ICOs, ranging from protecting retail investors, protecting the business models of large Chinese banks, and preventing money laundering, to enforcing capital controls and demonstrating the stability of the Chinese financial system, especially anticipating the Chinese communist party congress 2017. I believe any of these reasons is more likely to be valid than that ICOs would have disrupted the financial and economic order. On a macro level, the risk of investing in ICO’s is that “bad” ICOs will damage the reputation of all ICOs and therefore impede the development of financing on the basis of cryptocurrencies. On a micro level, it is sometimes not clear what is it that investors actually receive when participating in an ICO and what is it that drives the coin prices. This can cause high volatility and substantial losses for investors. Especially as they are not (yet) protected by supervisory legislation, the investors have to make a thorough assessment of the coin characteristics and the issuing organization in order to decide whether it is a “good” ICO that meets their investment profile. 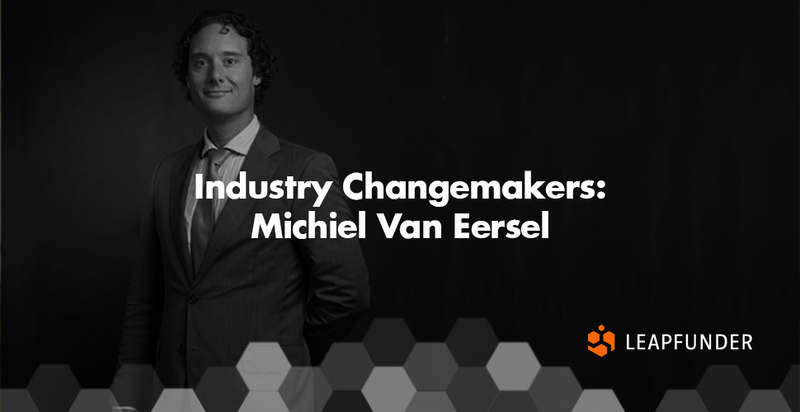 Thank you for your insights Michiel! We wish you the best of luck in your future endeavours.